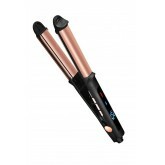 The 3-in-1 Smooth, Curl, & Wave Styling Iron is a multifunctional hairstyling tool designed to c..
KARDASHIAN BEAUTY BLACK SEED DRY OIL 0.5OZ SAMPLE..
Kardashian Beauty Ceramic Flat Iron 1"
Instantly create sleek and smooth hairstyles with the premium 1” hairstyling iron. 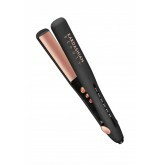 Designed wi..
Kardashian Beauty Ceramic Flat Iron 1.5"
Black Seed Oil Elixir - Intensive Repair Treatment is a highly concentrated repairing treatment desi..
KARDASHIAN BEAUTY GOLD JEWELED HAIRPIECE.. 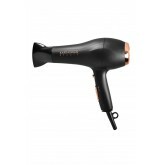 Experience premium styling with a uniquely designed hair dryer featuring maximum power and designer .. This Pack Includes: 1 - Rejuvenating Shampoo 3oz 1 - Rejuvenating Conditioner 3oz 1 - Black See..
KARDASHIAN BEAUTY ROSE GOLD JEWELED HAIRPIECE..
A lightweight conditioning spray that revives dull or dry hair by enhancing shine and moisture in be..